Blue Arrows of the Delta Trend, four White bars of the Genesis Matrix Indicator and Dss Bressert indicator Dodger blue. Red Arrows of the Delta Trend, four red bars of the Genesis Matrix Indicator and Dss Bressert indicator red. exit with profit target predetemined. Stop Loss for shorts goes above the previous swing high + spread, and for longs, below the previous swing low+ spread . 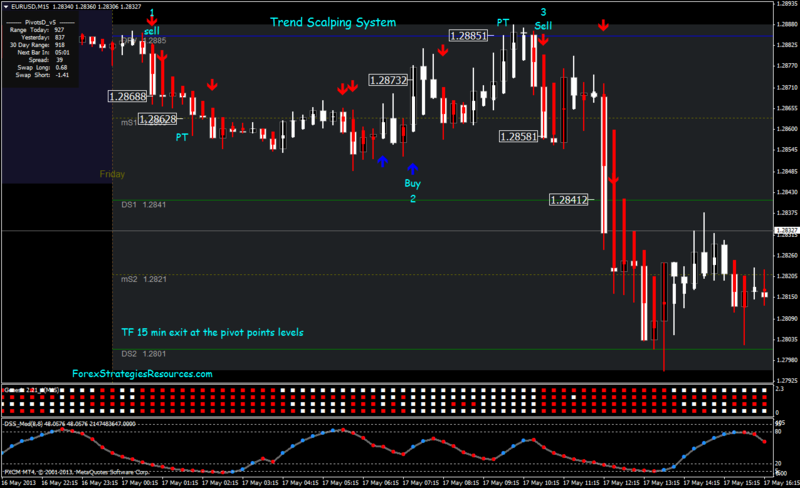 In the pictures below Trend Scalping System in action. Trading System: Trend Scalping System, Time Frame 5 min Genesis indicator, DSS indicator, Delta Trend Arrow indicator, Pivopoints levels. The technique is very useful. It would be much more beneficial if I could learn more from you. Thanks. 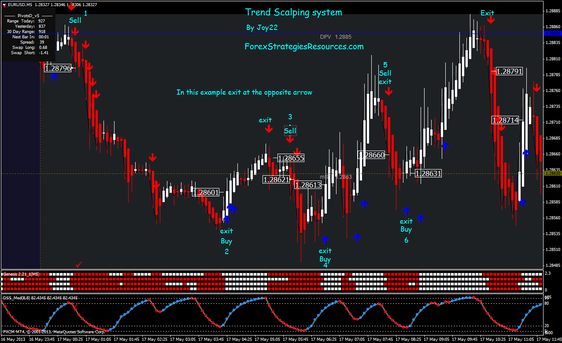 Thanks for sharing this simple yet quite profitable strategy! The indicators are very useful too.